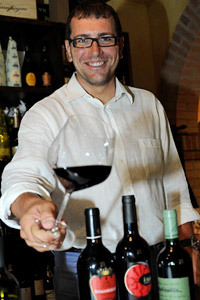 VinoinWeb is an idea of Andrea Aldegheri. The firm was born in the 70’s as distribution of drinks and it is specialized in distribution of wines' distribution, beers, grappe and distillates since the 90’s. Passion for wine and curiosity in searching of always new quality products, make Andrea Aldegheri the perfect person that follows and helps his customers in making the most appropriate choice to create the best matchings.